You’ve registered for New Student Orientation, so here are a few to-do items to complete before attending! ﻿Access MyCharleston. 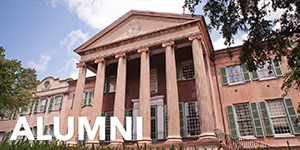 MyCharleston is where you will find valuable information and resources throughout your time at CofC. 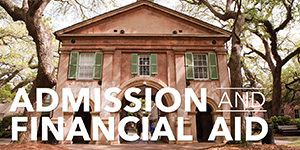 In MyCharleston you can view financial aid awards, transcript evaluations, pay deposits, apply for housing, and more! For more information on MyCharleston click here. acceptable photos and further information can be found here. Complete your Math Placement Exam. All entering students are required to take the ALEKS mathematics placement test regardless of credit based on AP, IB, or courses from another institution. The placement test must be completed at least two weeks before attending new student orientation. Failure to complete the placement test before orientation will delay your enrollment in a math course. Additional information can be found here. Complete required Health Forms. Health forms (immunization Records and Health History forms) contain valuable information including medical history, allergies and immunizations that allows Health Services to provide students with the best possible care. Information must be completed before classes begin. For more information refer here. Review Orientation Housing and Parking Information. On-campus housing for students during summer orientation is offered for sessions one through eight. The reservation should be made two weeks in advance and the form for the upcoming summer will be available in April. 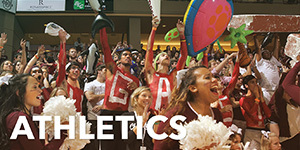 More details on housing during Orientation on campus and off campus can be found at http://orientation.cofc.edu/travel/. Rates for on-campus housing are per person, per semester. The housing deposit can be paid through MyCharleston. 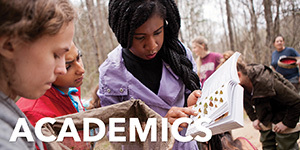 Log into MyCharleston and go to the Academic Services tab. Log into your student eBill and pay the housing deposit and application fee, both found under the Deposit tab. Click the MyHousing/Dining link on MyCharleston to begin your application. Applications for the Fall semester will run throughout February. Please be aware, there is a 24 hour delay between starting an application and being able to select a room. 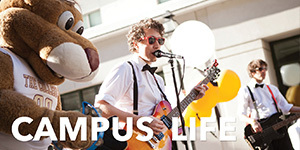 Virtual tours of on campus housing. If you are a freshman living on campus it is mandatory to choose a meal plan offered through Dining Services. When you choose housing, you will also choose a meal plan. Don’t worry, you will have the opportunity to change this after talking to Dining Services staff and CofC students if you wish to do so. It is important to view the different options that are offered through Dining Services. List of the Freshman Resident Meal Plans. Note: The Health form is not due until August 1st but it is better to bring it with you to orientation so it is complete. You will need to access your eBill via MyCharleston. It’s important to check this out because tuition is going to be individualized for each student. (MyCharleston login) We recommend created an Authorized User. Step by Step Guide to set up an Authorized User. For further information regarding your eBill, contact the Treasurer’s Office. Phone: 843.953.5572 Email: treasurer@cofc.edu For more information on financial aid, plese visit their website. 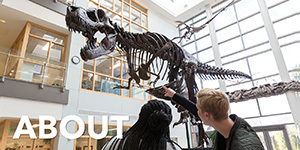 At orientation, you will be choosing your classes for the Fall semester. This process can be exciting, yet overwhelming for new students so be sure to access the ‘Preparing for your Orientation Advising Session’ guide.